San Diego Limo Rental not only services San Diego County but Transportation Services in and around Orange County, Long Beach to the Cruise Port, and Los Angeles. 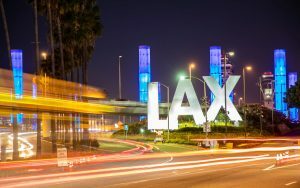 With San Diego LAX Transportation Rental Services, you pick the vehicle and the date, and we will make sure a safe journey and that you arrive on time for your flight out. 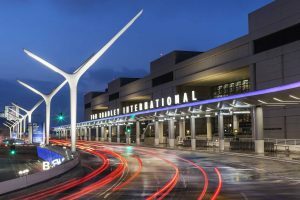 We will also pick you up at LAX Los Angeles International Airport in any of our Sedans, SUV's, Limos, Sprinter Vans, Party Buses, Shuttles, or Charter Buses depending on your group size to shuttle you back to San Diego. 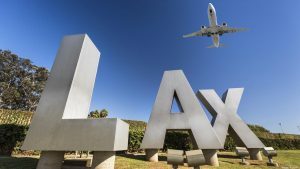 We know it can be difficult to schedule a Rideshare, Uber, or Lyft for LAX Airport Transportation, that is why we offer Discount San Diego LAX Transportation on all vehicle types. We guarantee you will have an amazing time with any vehicle we set you up with at The Lowest Limo Discount Rates in San Diego. Heading out for a vacation or just coming back from one, why not stay in that relaxed mindset and book any of our San Diego LAX Transportation Limo Rentals. We provide every option available from Standard Lincoln Limousines to SUV Limos like 20 passenger Escalade Limousines and Hummer Limos. Hope your traveling light though. Smaller limos are great for groups up to 5 or 6 for including luggage after your LAX flight. 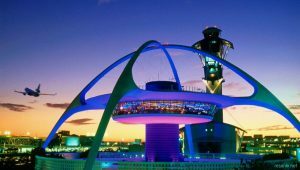 Our customer's reserve every different type of bus for there travels to and from LAX Los Angeles International Airport. Reserve a Party Bus for a little more fun on your couple hour drive up to LA. The most popular San Diego LAX Transportation Bus Rentals are Shuttle Buses and Charter Buses. Either vehicle type is available up to 56 passengers and enough luggage space for carry-ons and checked baggage. We have perfected the way we price out Limo Transportation Services in San Diego. San Diego LAX Transportation Rental Services Pricing can easily be determined using our internal software with prices that have been intricately negotiated with multiple Limo Companies throughout San Diego. All Limousines, Sedans, and Buses are available with Point to Point Rates, One Way Transfers, Hourly Service Rates, and Hybrid Pricing.